The precepts that relate to hearing, like the prayer of the “Shema (Hear) Israel” or listening to the Shofar blowing or other precepts that involve a recitation of blessings are in the frame of physical action. The precepts of Love and Awe depend on the heart and mind that are inner organs and in the aspect of Chokmah and Binah. The Zohar tells us that ‘action’ type precepts also require participation of the heart and mind. In addition, the Zohar teaches us that we should learn that there are angels who are called eyes of YHVH and ears of YHVH and angels on each level of existence and nature element fire, wind, water and earth. Most people are aware of the importance of positive actions but here, the Zohar teaches us also about the importance of the eyes and the ears. We should not miss on this one. It is the highest level of all, because of the great lights connected to them. 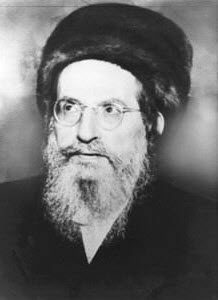 The Rashash, a great Kabbalist who expanded on the teaching of the Holy Ari, teaches us that the ears are not passive sense, they produce fine energy on the level of Binah. The eyes are on the level of Chokmah and have the energy of life and death. The Torah tells us that the Priest could heal just by looking at the sick. Many of us have experienced the evil eye energy of others. What we see and the way we look at things and the world around us, significantly affect our souls. The angels carry the voice/sounds of the prayers (Speaking, Malchut) to the upper levels (Zeir Anpin, central column). The name is concealed in the ‘Song of the Sea’ . The complete verse has 42 letters with three parts of 14 letters each to represent the three hands of God. The first hand is the aspect of Michael. When we divide the 14 letters to two parts of 7, we see the name Michael at the beginning followed by the word for water מים. As long as we are ‘wearing’ this garment called body, we have to use it properly for the benefit of the soul. If we quit the work while we are in working cloths, it means losing the rewards on payday.